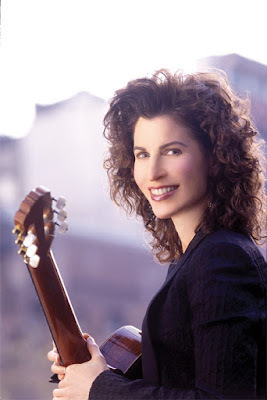 In her amazingly productive career, Isbin has performed at the White House and Carnegie Hall and played with rock guitarists such as Steve Vai, Steve Morse and Nancy Wilson. She also founded the guitar department at the Juilliard School of Music. At age 58, Isbin sometimes plays as many as 20 concerts a month. As a multi-Grammy Award winner Sharon Isbin is hailed as “the pre-eminent classical guitarist of our time”. 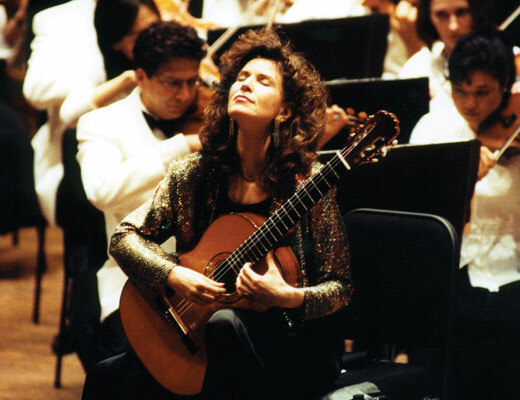 She has appeared as soloist with over 170 orchestras, and has commissioned more concerti than any other guitarist. Her catalogue of over 25 recordings ranges from Baroque to jazz-fusion. In 1995, one of her CDs was even taken into space by U.S. astronauts. However, she says that she still gets nervous before each one.